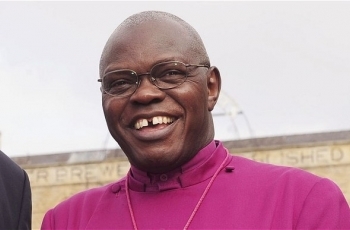 Archbishop Sentamu was raised to the peerage as The Lord Archbishop of York in 2005. Archbishop Sentamu was born in Uganda in 1949. He trained initially in law and practised as a high court advocate before his criticism of dictator Idi Amin forced his exile to the UK in 1974. He studied for the priesthood and, following his ordination, became assistant chaplain at Selwyn College, The University of Cambridge. He was then chaplain at a remand centre and curate in Southwark in London until 1982, after which he served in a succession of London parishes leading to his appointment as a bishop in 1996 and as archbishop in 2005. Archbishop Sentamu was the first ethnic minority archbishop, the second-highest position in the Church of England. He has worked on inquiries into the killings in London of black teenager Stephen Lawrence in 1993 and of Nigerian schoolboy Damilola Taylor in 2000. He was also involved in initiatives against poverty in Stepney and against gun crime in Birmingham.